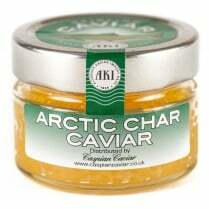 Fabulous Grade 1 Keta Salmon Caviar from Alaska. 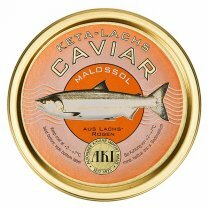 A special selection from wild catch, on the way to their spawning grounds in Alaskan waters. 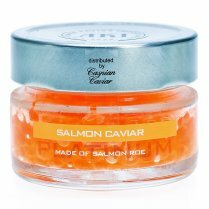 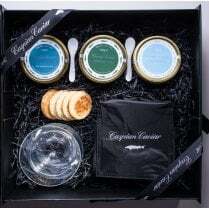 The Salmon Roe is a wonderful vivid reddy orange colour, with large eggs that burst in the mouth, flooding the senses with flavours of the ocean with an unmistakable hint of silver and adventure. 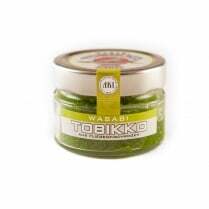 A big favourite in the office and at home! 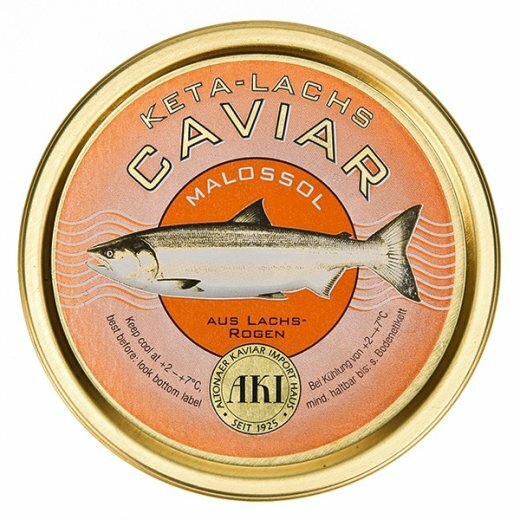 This Keta makes the most stunning canapes. 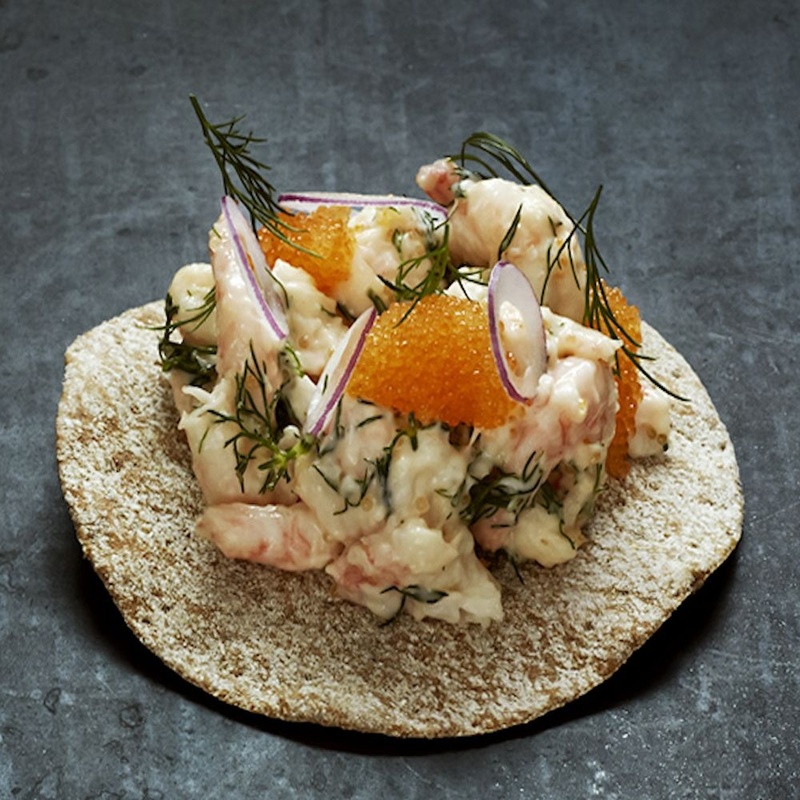 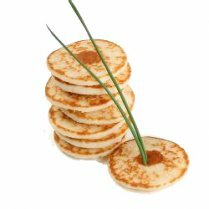 Try it with some sour cream on blinis, with perhaps a little bit of dill and even some smoked salmon. 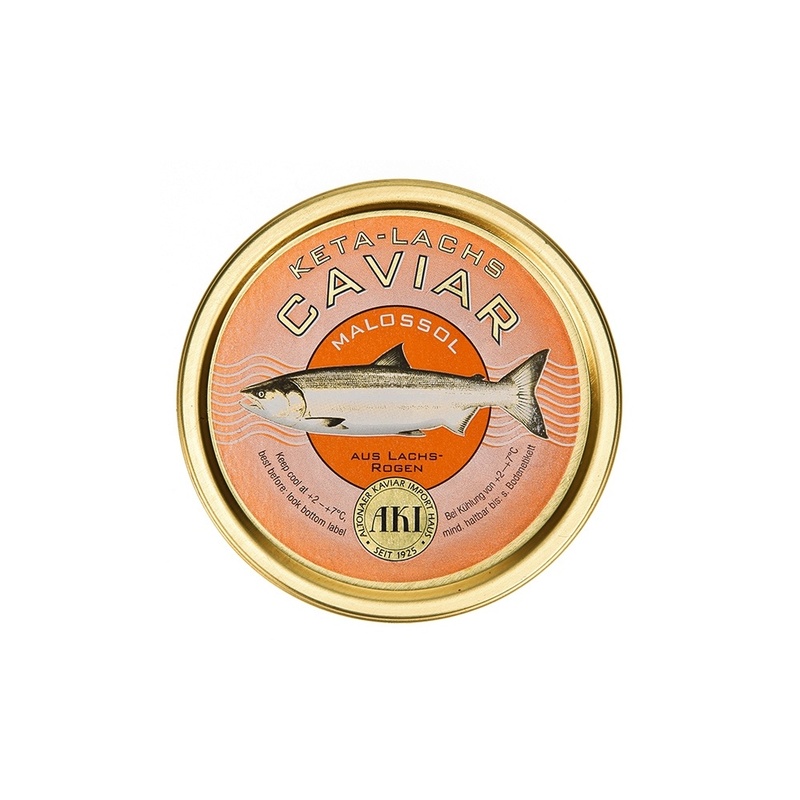 It is also used extensively in Japanese cuisine, while the Russians consume huge amounts, calling it simply "Red Caviar"